I am so excited to let you know about my new online upcycled sweater mittens class! One of the first things I made using felted wool sweaters were a cozy pair of upcycled sweater mittens. I have tweaked this pattern MANY times to get the perfect cozy fit. The mittens are designed to hug your hands which gives you a little extra wrist coverage, unlike most patterns out there. 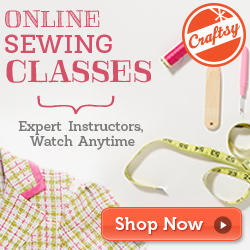 This is an easy project that even a beginner seamstress can handle. The pattern has SEVEN sizes (large child to XXL adult). Included with class enrollment on Skillshare, is the complete PDF printable pattern. Not only do you get clear printable instructions, you also get to watch me make a pair of mittens. I share tips and tricks that make sewing a pair of these up a SNAP! The class is ONLY 18 minutes long. When making a pair of mittens, it is nice to have them fit properly. I show you how to measure your hands so you can choose the correct size to cut out. Right now is the perfect time to make some of these for Christmas gifts. I am now offering a link for you to watch this class FREE on Skillshare! Just click here and this will allow you get the class free without having to sign up for a premium membership. Let me know if you have any questions or have difficulty locating the class. By the way, if you haven’t heard about Skillshare, it is an AWESOME platform where you can take a class and learn how to do almost anything. Classes are short and sweet. You can watch them as many times as you want and at your convenience. I LOVE IT. If you’re not interested in joining Skillshare, you can enroll in the Teachable course and have access to the class forever, without the membership fee. Includes mitten pattern. Gather up, or find some wool sweaters to shrink and let’s get sewing! Can you email me at fibersandtwigs@gmail.com and we can figure something out.